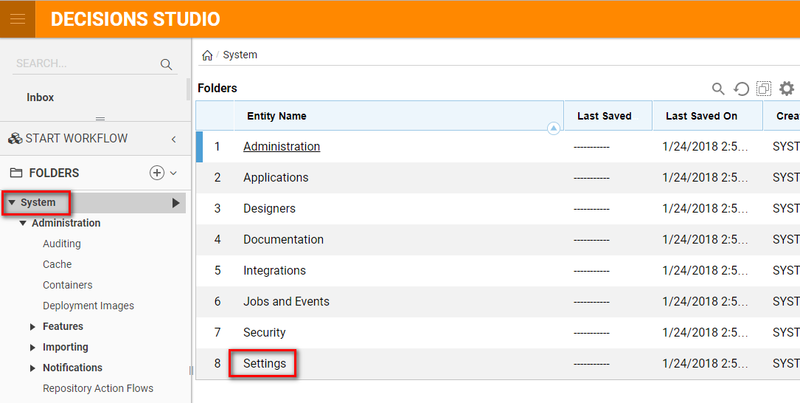 These components work with the Informatica/StrikeIron web services, therefore it is necessary to set up an account with Informatica/StrikeIron. 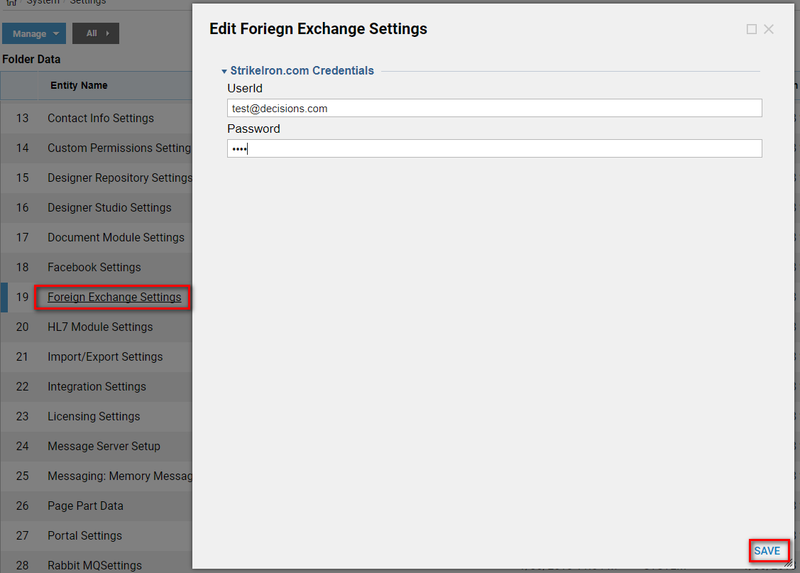 These credentials are entered in the Decisions portal under System > Settings > Foreign Exchange	Settings	. 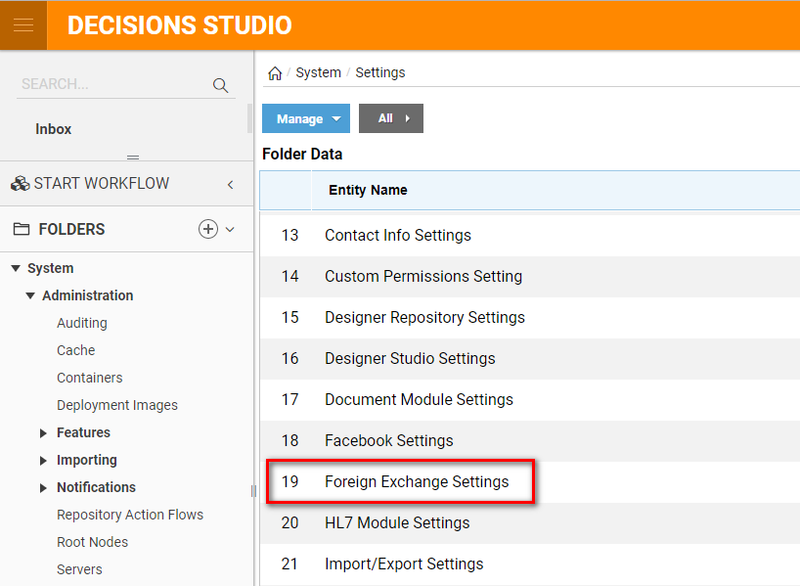 In the Workflow Designer , the Foreign Exchange components are found under Integrations > Foreign Exchange	. 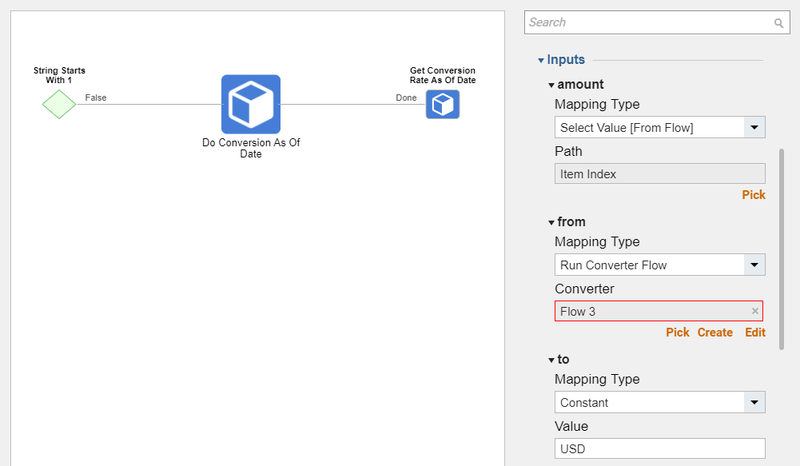 The flow below takes in line items from an invoice and loops through them, performing a currency conversion on each line item dollar amount. 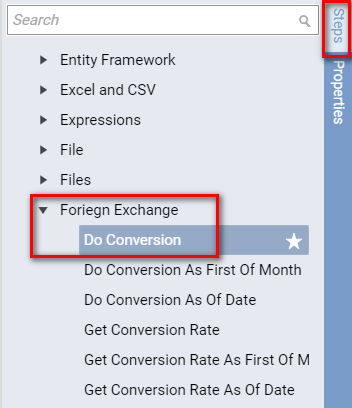 There are two Foreign Exchange components, Do Conversion As of Date	, and Get Conversion Rate As Of Date	. The date format required by the StrikeIron.com web services is mm/dd/yyyy format. In this example, a converter flow to convert the current date to this format is necessary.